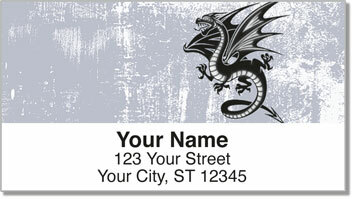 If you've chosen a dragon tattoo design - you picked a legendary icon symbolizing power, strength and wisdom. 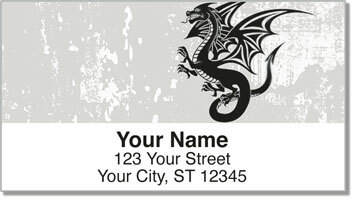 The mythical creatures featured on this set of return address labels were inspired by the Eastern dragon found in Chinese culture. These beasts were more serpentine than those in Western mythology, and they were often benevolent rather than villainous or dangerous. 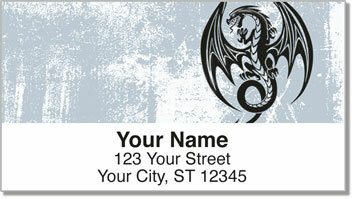 Dragon Tattoo Address Labels from CheckAdvantage will give your outgoing mail a mysterious and original look. You'll also save tons of time by eliminating the need to fill out envelopes by hand. 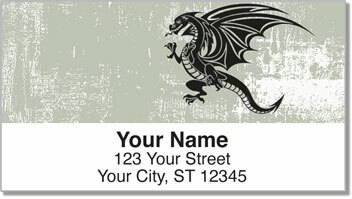 Get your own Dragon Tattoo Address Labels now! This eye-catching selection can also be ordered as a set of matching personal checks.